The Ibanez SR400EQM is one of the best bass guitars under $500. If you need a bass but you only have $500 to spend it ought to make you happy to know that some of the best bass guitar builders in the world offer instruments that will easily fit into your budget. These are quality basses, certainly good enough for intermediate players, but with sound and specs that will satisfy veteran bassists. As a musician, it’s far too easy to get mixed up in the idea that you need expensive gear to sound good. Sure, there are some amazing instruments out there that cost an arm and a leg, and most of them are well worth it. High-end bass guitars from brands like Fender, Spector, Lakland and Warwick are some of the best in the world, are definitely worth their asking prices. But some of us just aren’t in the position to drop that kind of cash. Thankfully, we have other options. In this article I’ve sorted out five of the top bass guitars for less than five-hundred bucks, at the time of this writing. Remember that this is based on my opinions and experiences, and that prices and features change over time. In addition to the advice in this article, I encourage your to do your own research and arrive at your own conclusions. I think these basses are a good place to start, and every one of them will get the job done. They are made by some of the top bass guitar companies, and they’ll each help you to sound incredible while staying under budget. Whether you’re looking for your first real bass to join a band, or just want to add to your collection, these bass guitars are worth a look. Note: Most of the instruments in this review have a corresponding 5-string model, and some a 6-string version as well. Of course some are a little over our budget, but you should be able to grab them for under $600. Ibanez makes great bass gear, period. Their Soundgear lineup has been among the best choices for metal, rock and jazz for twenty-five years. When I started playing bass almost two decades ago my first bass was the Ibanez SR400. Back then it offered amazing tone, flexibility and play, and while the bass has changed quite a bit, those attributes remain. In my opinion the Ibanez Soundgear Series ranks among the best bass guitars of all time. To be clear, this is not a beginner’s bass. I’d been playing guitar for ten years when I took up the bass, and I knew what I wanted. The SR400 delivered big time, so much so that when I wanted a 5-string I went out and got another Ibanez. These days, some of the details are different but this is still the same great bass I remember. Today’s SR400EQM features a mahogany body with quilted maple top. Mahogany is a rich, warm tonewood that will really bring out the low end, and the maple top looks gorgeous. The SR400 is a bass that has stood the test of time and excelled in every music genre. There’s a bolt-on maple neck with 24-fret rosewood fretboard. Ibanez necks are always thin and fast, even on their bass guitars. The 3-band active EQ allows for flexible shaping of the sounds coming from the Ibanez pickups. Ibanez’s in-house hardware is always exceptional, but what I really love above their basses is the versatility. The active electronics are outstanding, and the 3-band EQ lets you dial in almost any tone without having to go to your amp. There's also a 3-way power tap switch, for altering the character of the pickups by switching between humbucking and single-coil mode. I love the quilted top, but it sure would be nice to see this bass offered in solid colors again. That’s just a personal preference. This bass is pretty wallet friendly, and it comes in a 5-string version that fits in our budget as well. In fact, the SR405EQM is probably my top choice for best 5-string bass guitar under $500. You didn’t think I’d get through any best-bass list without mentioning Fender, did you? Unfortunately, the days when you could land a MIM Jazz or Precision Bass for under $500 are long gone. Fender’s Players Series are amazing instruments, but they come in well over our budget here. But don’t forget about Squier. The make some of the best bass guitars for beginners, but also a few models that are good enough for the pros. The Vintage Modified Jazz Bass is a real diamond in the rough. It’s one of the top bass guitars for the money you’ll find, and the most affordable in this review, coming in under $400 at the time of this writing. I’ve been playing one for years and I’d compare it in many ways to the MIM Fenders I’ve owned. This bass come in a few different flavors. The ‘70s version is my favorite, and it features a maple body and one-piece maple neck and fingerboard. The pickups are Fender-design single-coil Jazz Bass pickups, controlled via the typical one-volume for each pickup plus a universal tone control found on most Jazz basses. You might think with all of that maple this bass would be way too bright, but I’ve not found that to be the case at all. Dial in the low end on your amp and the bass will come through, though if you are into funk you might appreciate the ability to accentuate the high end. You can read my review of the Squier VM Series here. I’ve owned a Schecter Stiletto and it was a great instrument. Then again, every Schecter bass or guitar I’ve ever owned or played was a great instrument. I’ve said it before, but I truly believe Schecters are the best bargains out there in the guitar world. Since one of main goals of my articles is to help musicians find good gear for reasonable prices, this one is kind of a no-brainer. The Schecter Stilletto Extreme bass lives up to that hype. It features a mahogany body with a figured maple top with maple neck and a 24-fret rosewood fretboard. The pickups are Schecter bass humbuckers, controlled by a 2-band EQ plus volume and blend knobs. The neck is bolt on, and the back is unfinished. While I can go either way with guitars, for bass guitars I tend to prefer unfinished necks. To me they have a fresh, slick feel, where painted necks tend to get a little sticky. Maybe my bias is just a result of playing to many Fenders, but it is one of the things I like about this bass. The Schecter Stiletto Series are outstanding all-around bass guitars. I used mine for metal and hard rock, but they have the versatility for any genre. 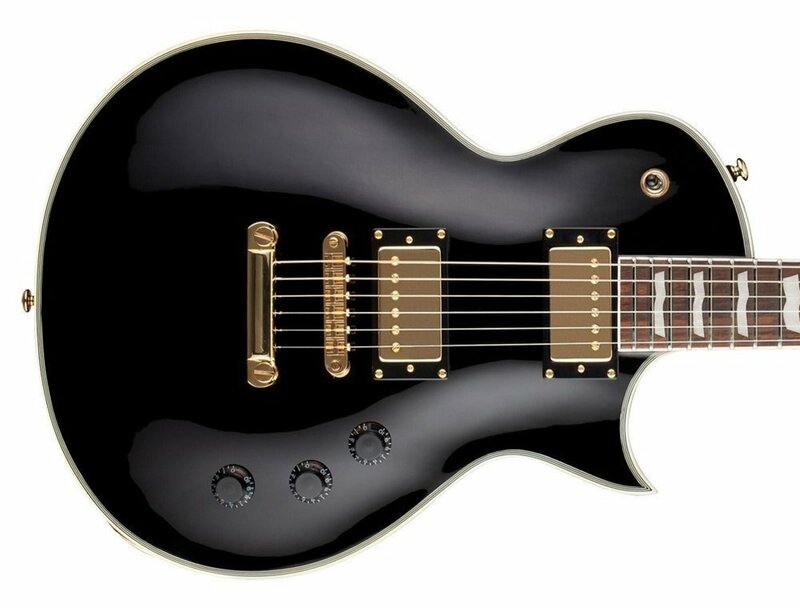 The Extreme-4 model will keep you under budget without compromising sound and playability. The humbuckers are solid on a bass at this price point, but that’s what Schecter does. 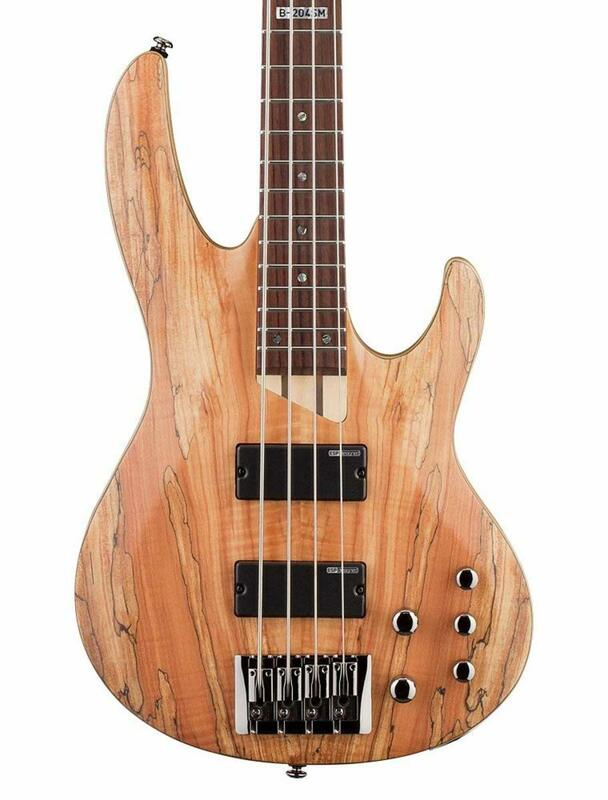 I also love the look of the natural-finished version of this bass. Very nice. A three-band EQ would have been nice, but that’s just my personal preference. Yamaha is another guitar company I have a very high opinion of. They excel at many things, but there are a few areas where I feel like they stand out above the rest. One is electric and acoustic guitars for beginners, and the other is bass guitars. To me, every Yamaha bass I’ve played has the a look and feel of higher-end instruments, even though many are very affordable. In this case, the TRBX504 comes in right around the $500 mark, and it's up the same quality stands I've come to expect from the brand. It features a mahogany body with a 5-pc maple/mahogany neck and 24-fret rosewood fingerboard. While I love the electronics on the Ibanez above, the Yamaha TRBX504 probably has the most powerful electronics package of any bass in this review. It has a pair of Alnico V pickups controlled via a master volume and pickup balancer, along with a 3-band EQ. But the most interesting thing is the active/passive switch that allows you to toggle between modes. That’s pretty impressive. I also love the contour of the body on this bass. This bass is a great combination of innovation and modernity along with a classic design. If you need a flexible bass, this may be your best bet. You might think of expensive custom guitars in the hands of famous musicians when you think of ESP. Well, if you’re my age you might, anyway. Back in the late ‘80s and early ‘90s it seemed like everybody worth mentioning was playing an ESP guitar. Over the past few decades ESP has branched out with their ESP LTD brand, and brought some really outstanding instruments to intermediate players. ESP LTD has a reputation as a guitar company that caters to the metal and hard rock crowd, but they do other things too. 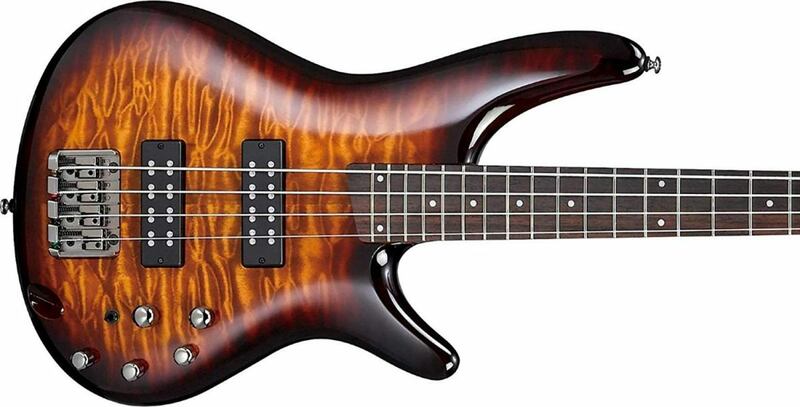 For example, the B-204SM is a beautiful bass, and while you can certainly use it for metal if you want, it has the looks and sound to stand out in any genre. That’s why it made this list, and there are a few things I really love about this instrument, starting with the ash body. I really love ash as a tonewood. It’s bright-sounding tonewood, with a nice hint of resonance – a deeper sound than alder but without getting into the darkness of mahogany or basswood. The spalted maple top looks gorgeous too. I think spalted maple is a wood you really need to see in person to get the full effect. The ESP LTD B-4E features string-thru-body construction, with a 5-piece maple/rosewood neck and 14-fret rosewood fingerboard. For the electronics, you’ve got an active 3-band EQ with volume and balance control. The bridge and pickups are both ESP designs. I’m really impressed with the construction and choice of tonewoods in a guitar at this price point. This, plus the beautiful finish, is what put the ESP-LTD in the running for best bass under $500. I’ve picked out my favorite bass guitars for the money, but there are a lot of choices out there. Here are a few basses that didn’t quite make the cut for the purposes of this article, but they are well worth a look. A few are great bass guitars for under $400, making them super affordable and perfect instruments for intermediate bass players. G&L Tribute JB2: If you like Fender you’ll probably like G&L. However, G&L tends to take things a little further, creating polished, innovative instruments for modern players. The JB2 is a good example of this. Squier Classic Vibe Precision Bass: Take everything I said above about the Vintage Modified Jazz above and apply to the Classic Vibe P-Bass. 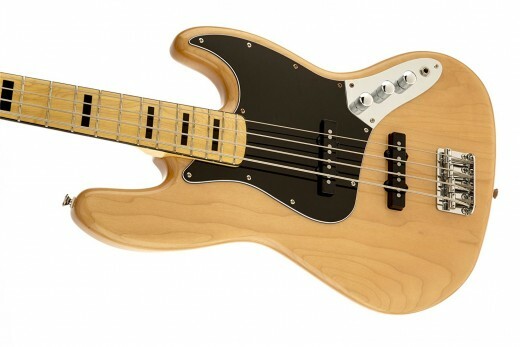 Except, in this cases we’re look at a bass aimed at capturing the aura of the ‘70s Precision, in all its punchy glory. Jackson JS3Q: Jackson is one of the best bass brands for metal, and the Jackson Concert Bass is a classic. In this case, we’re looking at the affordable JS version, aimed at intermediate players and serious beginners. Dean Edge 4: The Dean Edge is another great choice for metal players, with the flexibility for any genre. This is a 4-string bass with a 35-inch scale and features EMG pickups. Epiphone Thunderbird IV: The Gibson Thunderbird is a rock classic, but you’ll never get one for under your $500 budget. 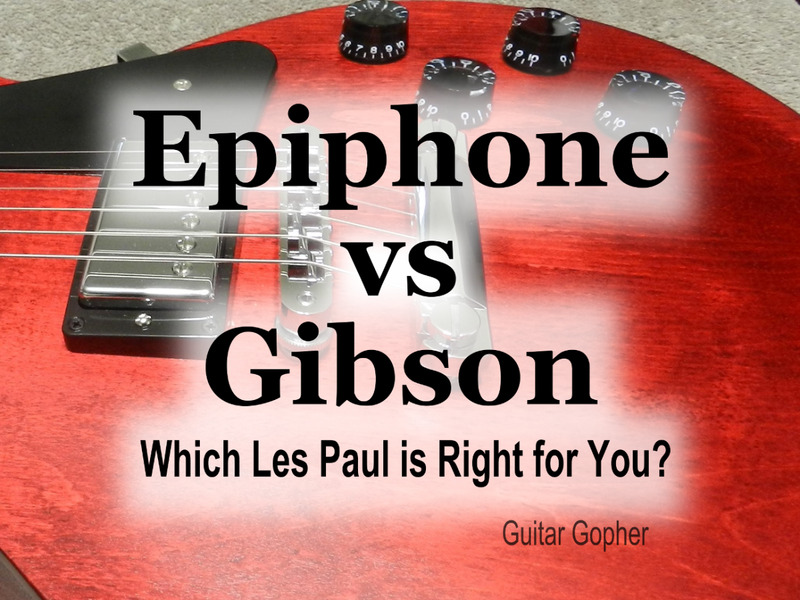 Instead, look to Epiphone, a company owned my Gibson that makes budget versions of many Gibson models. Should You Play a 5-String Bass? The decision to choose a 4-string or 5-string bass often depends on the music you play. Some players tend to gravitate to 5-string bass guitars for metal because of the low-B string. Modern extreme metal guitarists often tune their instruments down several steps or play 7-string guitars, and a 5-string bass just makes things easier. Jazz, and some rock players, might prefer an extended-range bass to make playing scales and chords a little easier. You don’t have to switch hand positions as often, leading to more efficient playing. For most traditional bassists, a 4-string is just fine. You can still tune down if necessary. In fact, for bassists who haven’t quite got the hang of the instrument I typically recommend a 4-string. Really, the choice is yours and there is no wrong answer. The highest four strings on a 5-string bass are exactly the same as on a regular 4-string, so it’s not like your missing something by going with a five. However, they usually have a longer scale, and of course a wider neck, so there’s also a different feel. Passive or Active Pickups for Bass Guitar? I like both, and think both can be used for just about any genre. The advantage of active electronics is in the control you have at your fingertips right on the bass itself. 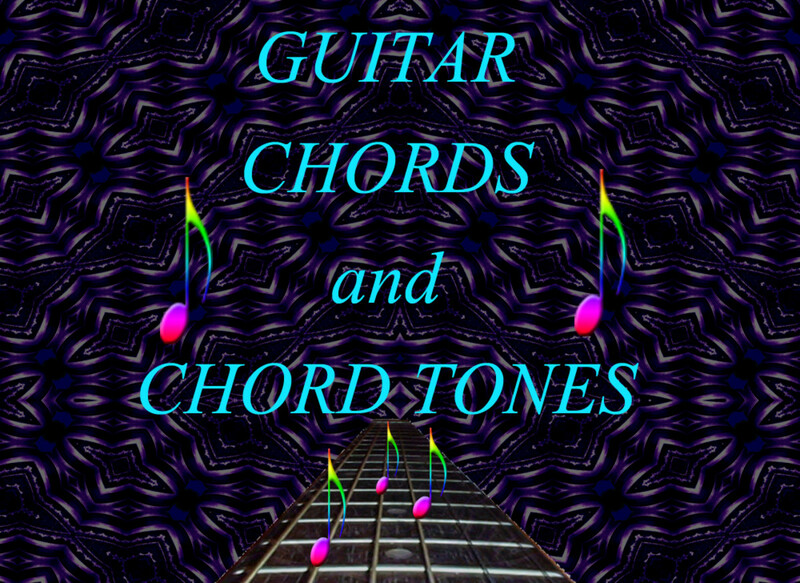 They are super versatile, and you can dial in tones for just about any genre you can think of. They are also typically higher output. If you plug into an amp it’s not quite such a big deal, but if you run direct you might appreciate the control that active electronics afford. On the other hand, passive basses tend to sound more natural to me. Of course you can dial in an active bass with a lot of warmth, but I feel it lacks the natural, woody sound you get with lower-output passive pickups. That’s just my opinion, based on my experience. Like a lot of things, it’s a personal preference. If I have to choose, I’d say I prefer active basses for metal, especially when playing with a pick. I’d prefer passive basses for rock. For jazz, I could go either way. A passive Jazz or Precision Bass sounds fantastic through the right amplification, but then again the electronics on an Ibanez Soundgear are pretty darned good too. Experiment with both and see what you think. 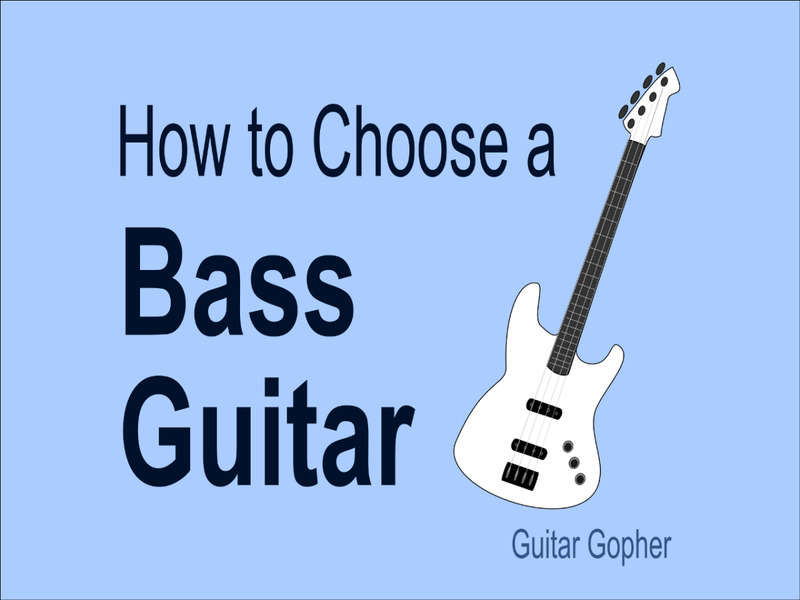 Which Bass Guitar Should You Buy? Hopefully something I’ve said in this article has been helpful in your quest for a great bass guitar. As you can see, you have some powerful options if you are a bassist on a budget. So how do you decide? Fortunately for me that’s your problem! But it’s a good problem to have, and I can tell you what I’d choose. If I were playing in a metal band I’d look at the Ibanez or the ESP LTD. 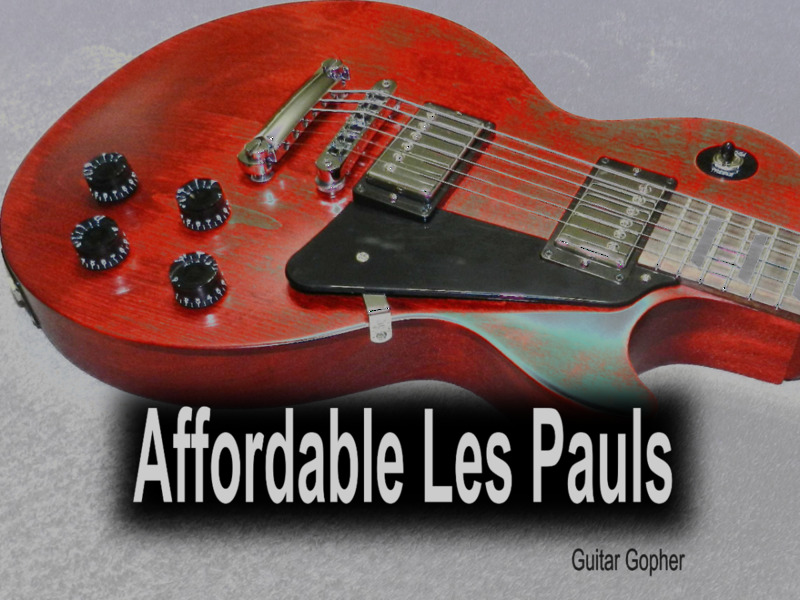 Both have thin, fast necks and very flexible tone shaping. For jazz or smooth, mellow rock tones I’d be leaning toward the Squier, but I’d also consider the Yamaha. I like the passive electronics with that choice of tonewoods. The award for best overall bass, and best bass for the money, goes to the Schecter. From rock to jazz to metal, if I needed a high-quality instrument to get it all done this would be my choice. The Ibanez would be a runner-up. But that’s just my opinion. I’ve shown you the best bass guitars for under $500. What will you decide? Which bass is best for the money? Super quality for a reasonable price. HIiMatthew E. Glad you love your bass! I've always liked Schecter gear, especially when it comes to value for your money. I have a schecter stilleto custom bass 5 strings though on mine, because when i bought it i wanted something slightly different than my other basses and my god my words couldnt give it justice, i opened the box it came in, and as soon as i opened it, i was beyond wowed by how beautiful it looked. And how smooth overall everything was on it, i couldnt find anything to really complain about and for the money its my personal fav. I have owned many ibanez and epiphone bass guitars and when i got my first schecter it led me into purchasing another from the company. And both play amazing. One of my fellow bass buddies dislikes schecter saying the neck was to wide, which it isnt narrow, but i dont think its any wider than an epiphone. Hi haziq: Sorry, I don't know much about what goes on in Malaysia. You can try emailing Washburn and maybe they can help. Hi Gopher, where can i get the washburn t24 dealer in malaysia? Hi Thomas. I think that would be a fine idea. I like that bass a lot, and I think it's smart that you started with a 4 before moving up to the 5-string, Good luck! thinking about getting the Washburn t25, ive been playing 4 string for 5 years and I'd like a 5 string, would that be a good idea? Hi George! That's a tough one, because I really love both brands and those two basses as very comparable. I owned a Schecter Stiletto 4-string for a while and it was a beautiful instrument. I always think of Schecter as a brand that gives you a lot of value for the money. I've owned Spectors too, but not the Legend series. I'm a big fan of theirs too! I think, if it were me, I might go with the Spector. However, this is a case where I'd really want to get my hands on both guitars and compare them thoroughly. I'm thinking specifically about the feel of the neck, where I suspect you'll find a thinner neck on the Schector and a beefier neck on the Spector. I'd also be interested in overall tone, and comparing how well the active EQs shape the sound of each bass. So, if you have the chance, play them both. I don't think you'd be unhappy whichever you choose. They are both very good instruments. It may just come down to picking one and going with it. Good luck! I'm stuck between buying a spector legend standard 5, or a shecter stilleto extreme 5. Can you help me decide on which one is best value for money? btw love the list! Hi Pang HuLi! The Squire VM Jazz and Precision are both more than good enough to start out on. I can't imagine you would be disappointed in either. However, the Yamaha BB424X is certainly a slightly better, and more versatile, bass. It is beyond a beginner's instrument, and you wouldn't have to upgrade for a while. So, I think it comes down to how willing you are to part with an extra $200. Don't feel bad about going with the Squier, if that's what you're worried about. The Squier Vintage Modified basses are very good. But if you have the cash, you may as well go for the bass you really want. I'm curious what your thoughts are on the Yamaha 424bbx. 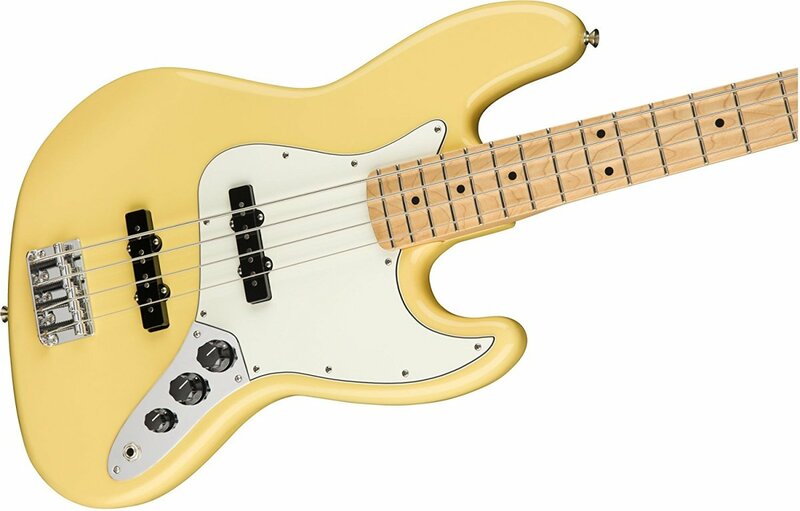 It looks, in my humble opinion, fantastic and I'm currently considering whether I should cap the budget for my first bass guitar at ~$300 (most likely a Squier Vintage Modified Precision or Jazz bass) or pony up $200 more to grab the Yamaha. Not sure if it'd matter much, but I'll probably start off using Rocksmith 2014 on my computer as my practice "amp" and teacher until I figure out how far I want to take bass. Thanks for posting all these great articles! Hi Imrui. I really like them both so it's a tough call for me. The Hellraiser Extreme is a slightly higher-end bass, where you'll save a few bucks going with the Stiletto. Both sound great, and look great too. The Hellrasier looks meaner, where the Stiletto is more elegant. Play them both and see which you like better. Also: I'd be thinking about a 5-string if I intended to tune lower than D. Good luck! What would you recommend for metal though? Songs tuned to Drop C for example? Schecter stiletto or hellraiser?